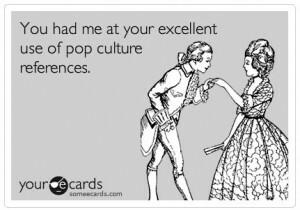 Even if that “someone” is a sarcastic website — someecards. 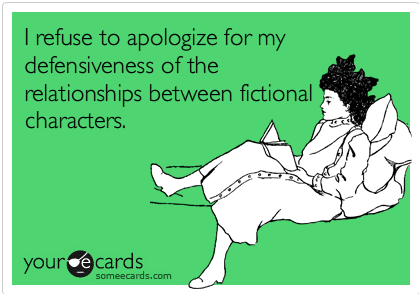 See: Leslie/Ben, Brenda/Dylan, Willow/Xander, Willow/Oz, Pacey/Joey, Michael/Maria, Charlie Crews/Dani Reese, Angela/Jordan, Ten/Rose, Ten/Donna, Troy/Abed, Mulder/Scully, Kalinda/Casey, Keith/Watts. I’ll just stop there or it could get REALLY embarrassing. 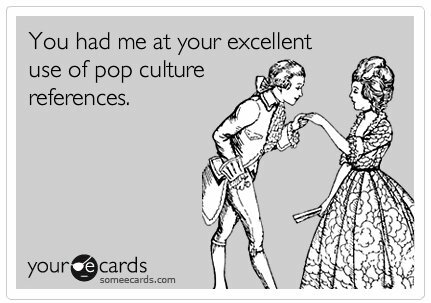 It’s kind of ridiculous of how well this describes me (in case anyone wanted to know how to woo me, which i realize is highly unlikely).